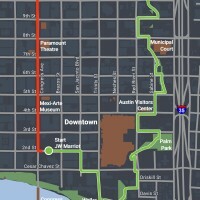 Join the Waller Creek Conservancy and City of Austin representatives on this walking tour, of this creekside corridor on the east side of Downtown along I-35. Currently a sadly neglected natural feature, Waller Creek is at the center of plans for the largest urban creek corridor revitalization in the nation, to feature a chain of parks connected by urban trails for biking and walking. 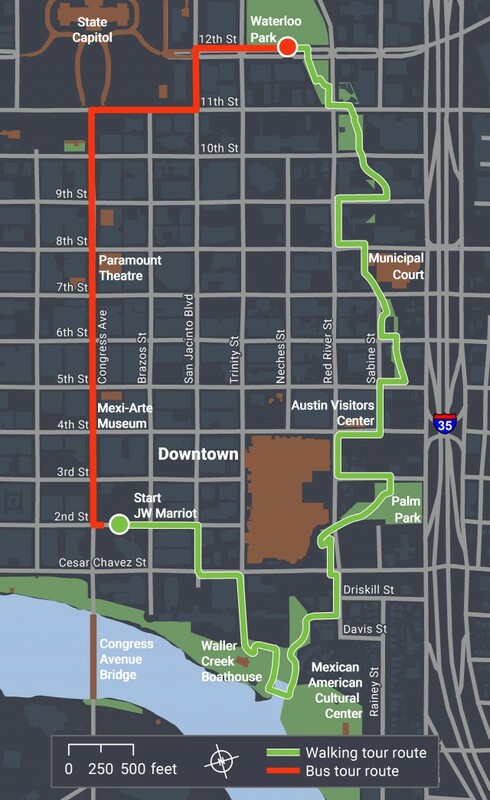 The vision for the Waller Creek Corridor includes world-class public spaces, and new transportation connectivity both east-west and north-south, with major redevelopment along both sides. This tour will travel by shuttle and walking. Participants are encouraged to wear shoes for trail hiking, bring sunscreen, and protect skin from possible poison ivy exposure. Refillable water bottles will be provided.